I would say the best thing about Halloween is certainly the candy and treats. Kids love to collect as many pieces of candy as they can to stuff their bellies. Along with candy-picking, they can make many other treats that are sure to bring some spooky fun to their Halloween parties. 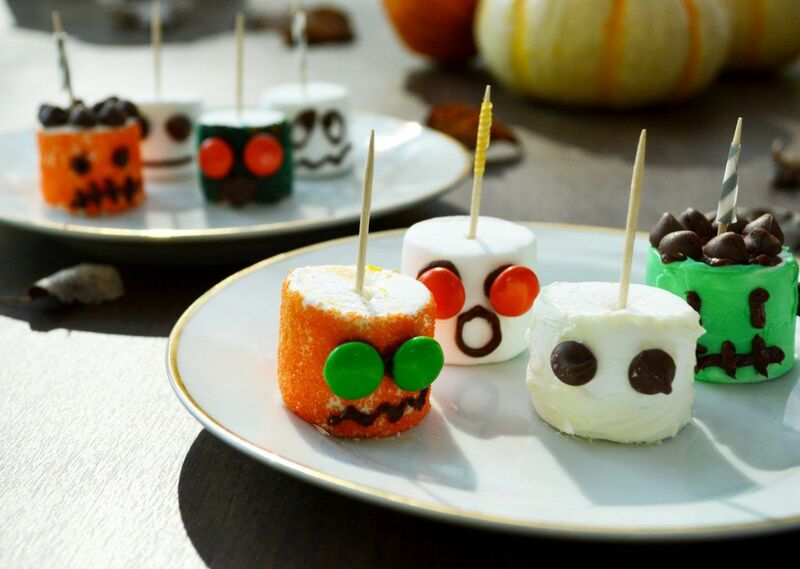 Creating these adorable marshmallow “monsters” are the perfect activity for kids to partake in at any Halloween party. Be sure to clean or protect your surface with wax paper while decorating. The main ingredient in this craft are the marshmallows. Be sure that you buy the jumbo marshmallows so that there’s enough surface space to create the fun faces you want. I created a few different types of marshmallow monsters. 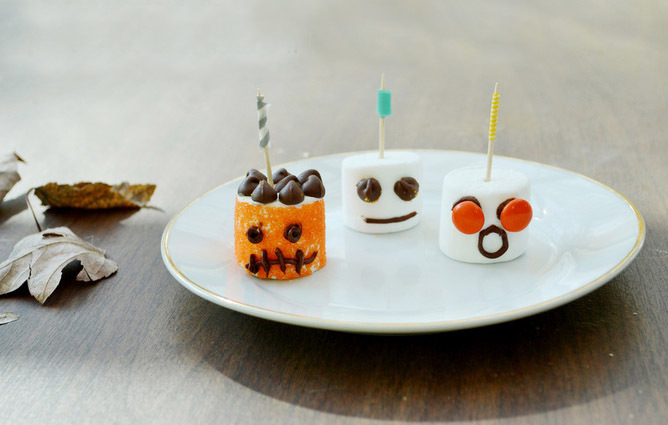 You can create a “Frankenstein” character by coating one marshmallow with a thin layer of icing. Before the icing dries, add a layer of tiny, green sprinkles all around it. Next, add your face with chocolate icing. Be sure to create the “ears” on the side with a dab of icing and add some hair at the top! To create a “mummy” marshmallow, squeeze thin strips of icing out of a piping bag, wrapping it around the marshmallow to give an illusion of a wrapped mummy. Add two M&M’s for the eyes or use more icing. 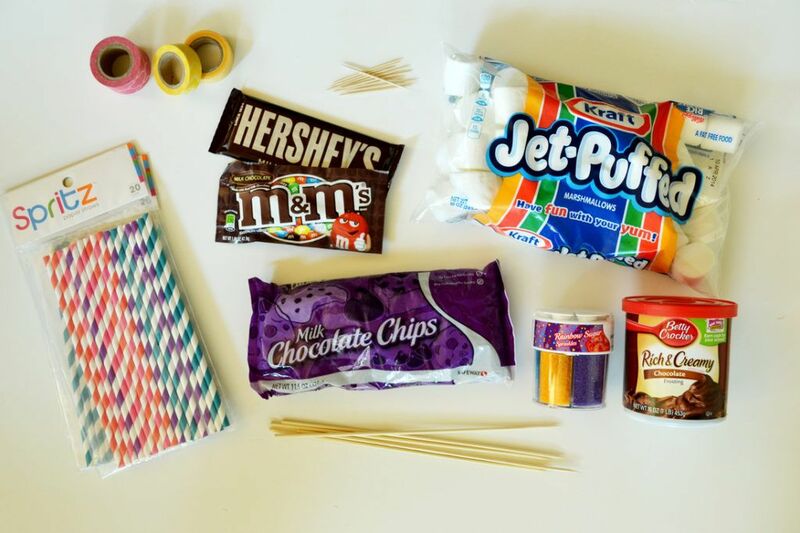 Stick a toothpick at the top of the marshmallows and use washi tape to add color to the toothpicks. This is one of those crafts where you can let your kids’ creativity run wild. 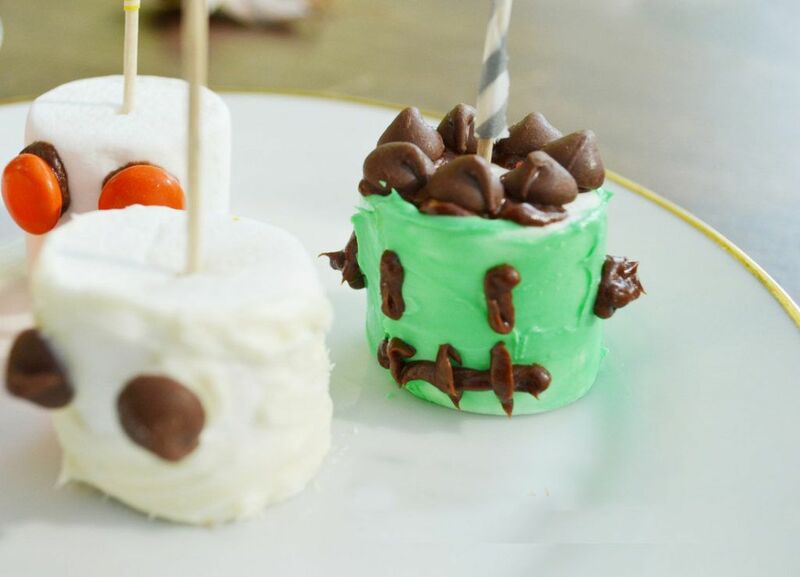 There are so many different monsters and faces you can create using jumbo marshmallows and any kid would love getting their hands sticky and messy with sweet treats. This craft gives you a fun activity for kids to do at the Halloween party or simply serve them to children when they come by for candy that night!